Trail running is incredibly popular in Cape Town. 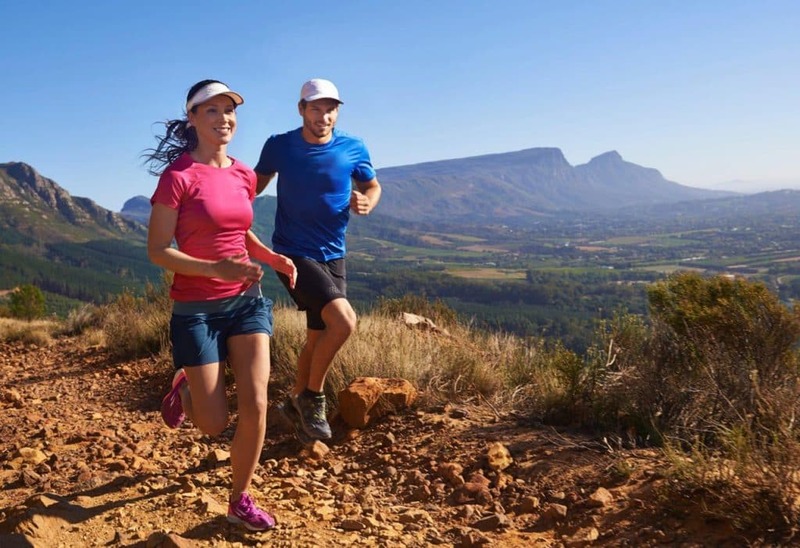 With a mountain and surrounding forests within the city’s borders creating a multitude of established hiking and mountain biking trails, most of which are shared with trail runners, it’s easy to see why Cape Town is such a trail runner’s paradise. 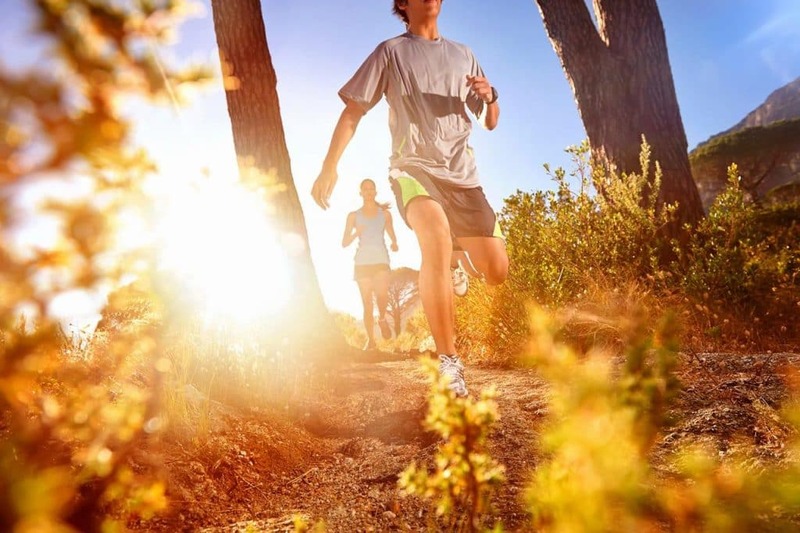 Here’s a look at five of the best trail running routes in Cape Town. One of the most popular trail running routes is the Pipe Track. Popular with casual hikers due to its proximity to the City Bowl, its also a favourite among trail runners for a quick after-work run. Starting just off the top of Kloof Nek, at the entrance towards the Table Mountain Cableway, the trail follows a water pipeline that runs along the top of Camps Bay all the way past Bakoven, offering some incredible views of the beaches below and the mountain looming overhead. The trail is a there-and-back route about 6 km (3.7 mi) to Corridor Ravine, and while it’s predominantly fairly flat and mostly smooth gravel, some sections can get really rocky, providing a decent challenge for trails runners of all experience levels. The trail is quite exposed and is best run early in the morning or late afternoon—just be sure to check sunset times. Right in the middle of suburban Constantia lies the Constantia Green Belt, a popular circular route that runs from Alphen Drive (opposite Ave Le Sueur) along a number of trails, up the Diepriver path, along the Contour Path and back down through Cecelia Forest. The 9 km (5.6 mi) route is run on mostly gravel trails and forest paths and is moderately challenging, climbing about 300 m (1,000 ft) over the course of the trail. This lush green trail is popular among locals who can be seen walking their dogs (and kids) every morning and afternoon. Be on the lookout for horse riders who also use parts of the trails. For those looking for a real challenge, the Platteklip Gorge trail is the Pipe Track’s much, much more challenging neighbour, and also the most direct route to the top of Table Mountain. The trail starts on Tafelberg road, about two kilometres from the cable way station, and winds its way up towards the top, just west of Maclear’s Beacon, Table Mountain’s highest point. It’s a short, relatively smooth, but extremely steep climb, gaining about 600 m (2,000 ft) in elevation in just under 2.5 km (1.5 mi), and is probably only for the really fit. Depending on your fitness level up and back down will take between 1.5 and two hours – just don’t forget to stop every now and again to take in the magnificent views of the Cape Town City Bowl and Table Bay below. It also forms part of the annual Three Peaks and Batrun trail races. Outside of the city, Cape Town’s surrounds also has a vast collection of trails awaiting you. Jonkershoek in Stellenbosch is one of them. There are quite a number of trails in the 9,800 hectare reserve ranging from a short 5 km (3 mi) trot to an 18 km (11 mi) haul for the fit crowd. The reserve features a number of beautiful waterfalls and pristine reservoirs, and offers long, gradual climbs as far up as Guardian Peak with in incredible view of the Cape Peninsula, Table Mountain and Robben Island. Since a mountain is a prominent feature of the reserve, you’re bound to hit a hill, so this one’s for runners who are fairly fit, although that’s not a must. Everyone has to start somewhere. Weather wise, summer in Stellenbosch can be extremely hot, with temperatures in excess of 40ºC (100ºF) so best you go early in the morning. Summer is also the time when Cape cobras and puff adder snakes love to sun themselves in the paths, so be especially vigilant for those. Winter brings rain, and often a lot of it, making trails potentially very slippery. These conditions are par for the course though and adds to the fun of trail running in the first place. Just a note: entry to the reserve is R40 for adults, but it’s well worth the expense. Just south of Stellenbosch lies the Helderberg Nature Reserve in Somerset West. It’s a quite small reserve compare to Jonkershoek, but the abundance of fauna and flora makes for a great run – so much you’ll be tempted to run with your camera on your back. The seven trails of the reserve literally something for everyone – from a casual walk along the 2.2 km (1.3 mi) Sugarbird Walk, to the more challenging, 8.2 km (5 mi) Leopard Loop. The latter route takes you around Helderberg’s West peak and it’s raged up and down route, with virtually no level sections to catch a breather. If you’re looking for a view, the West Peak route takes you up to the 1,000 m (3,300 ft) summit that rewards you with panoramic views of Somerset West, Gordon’s Bay and Strand. Entrance to the reserve is slightly less than Jonkershoek at R20 for adults and R10 per car if you don’t fancy a walk to the trail heads. Both Stellenbosch and Somerset West are about a 45 minute drive from Cape Town’s CBD, but considering the, well, nature of the trails, it is well worth the trip(s).